Hello and Welcome! We’re here to help you research the Real Estate market in Maryland, including Montgomery County, Prince Georges County, Howard County and Ann Arundel County. HOMES IN MARYLAND: Columbia, Laurel, Silver Spring, Burtonsville, Rockville, Olney, Gaithersburg, Montgomery Village. You found us! Whether you’re seeking help in finding your dream home in Columbia , Maryland or you’re considering selling your current home – YouBuyMaryland is your source for tips, resources and research options. Our goal is to assist you in reaching your real estate and home ownership goals. Search MLS listed homes for sale in Columbia, Laurel, Silver Spring, Burtonsville, Rockville, Olney, Gaithersburg, Montgomery Village. We have an extensive list of articles on home buying, first time home buying as well as featured homes for sale in Maryland. Our talented team of professional agents are at your disposal and will help you locate the Maryland home that meets your precise needs. At our site, you have access to all homes listed for sale; resale homes, new homes and foreclosures. YouBuyMaryland.com’s experienced real estate agents sell homes throughout many terrific Maryland real estate communities. Be sure to browse our Community pages and learn more about many counties and cities in Maryland. Browse our extensive list of articles and other resources for Maryland home sellers and arm yourself with the knowledge you’ll need to sell your Columbia home fast – and for top dollar. We’re available whenever you need us for a Comparative Market Analysis to determine the value of your home in today’s busy Maryland real estate market. Simply visit our quick and easy CMA sign-up form! We’ve compiled an extensive list of resources for those visitors seeking to learn more about Montgomery County, Prince Georges County, Howard County and Ann Arundel County. We also have detailed profiles of many Maryland communities such as Columbia, Laurel, Silver Spring, Burtonsville, Rockville, Olney, Gaithersburg, Montgomery Village. A quick click and you’ll find helpful information about demographics, public schools, transportation, shopping, homes for sale in Maryland and more. Maryland is an ideal place to live, work and enjoy! Maryland boasts excellent job opportunities, amazing neighborhoods, high-quality schools and an abundance of arts and lifestyle endeavors. 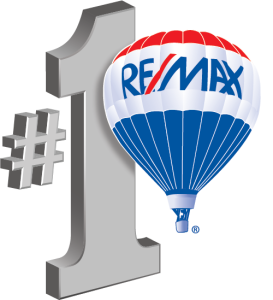 Our goal is to make buying or selling your next home in Maryland a simple and painless process. We provide you with all the tools you need to find your dream Maryland home. Search the entire MLS (Multiple Listing Service) database, save your searches and feel free to let us know if you have any questions about any of the homes for sale in Maryland you view. You’ll be browsing all active home listings available in Maryland including homes in Columbia, Laurel, Silver Spring, Burtonsville, Rockville, Olney, Gaithersburg, Montgomery Village. You’ll see detailed descriptions, photos, maps, features and prices. Simply save the homes that appeal to you, give us a call or send an e-mail and we’ll schedule a viewing at your earliest convenience.